The following interview was conducted by Alan Jay Richard, Ph.D. of Realistic Living. Part 2 of the interview will appear Monday, January 9. With the 2003 publication of Jeffrey W. Robbins’ Between Faith and Thought: An Essay on the Ontotheological Condition, full-throated radicalism returned to American theology. In this groundbreaking work, Robbins’s accessible style guides the reader through the efforts of modern philosophers and theologians to overcome “ontotheology” while building a case that ontotheology is simply the condition of faith and thought, and that the desire to overcome ontotheology has always been the real source of the misguided hope and violence attributed to ontotheology. Robbins’ accessible style and complex thinking are equally evident in his In Search of a Non-Dogmatic Theology (2004), in his articles and conversations published in the Journal for Cultural and Religious Theory, Cross Currents, and other venues, and in his edited books After the Death of God and (with Neal Magee) The Sleeping Giant has Awoken: The New Politics of Religion in the United States. With the possible exception of Robert Scharlemann, Robbins engages more deeply with the theological roots of the radical theological tradition than has any radical theologian since the first generation. His readings of Barth, Bonhoeffer, Tillich, and other twentieth century forbears of radical theology are as sensitive and nuanced as his readings of Derrida, Deleuze, Agamben and other philosophical contributions to radical theology’s problematic. 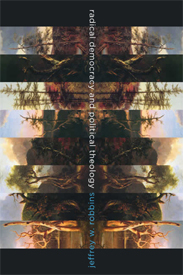 Radical Democracy and Political Theology is Robbins’ latest book. It invites us to step outside of the false choice between a commitment to democratic equality that excludes religion from the secular public space and a commitment to religion that limits democratic equality. The book does not shrink from confronting the startling implications of this theological invitation, which are likely to stir as much controversy among left leaning political activists as among churchgoing supporters of traditional values. Recently, I interviewed Robbins about some of these implications. AJR: In the first chapter of your Radical Democracy and Political Theology, the words “imagination” and “imaginary” are invested with tremendous potency. You discuss Sheldon Wolin’s notion of the political imaginary and Edmund Morgan’s notion of the necessary fiction that “sustains the very values it envisions even as it recognizes the inevitable gap that exists between the ideal and the real, the imagined and the actual.” Both scholars, you write, agree that political imagination prefigures actual political states of affairs. You close this astonishing first chapter by proposing to answer Benjamin Barber’s call for “acts of bold political imagination” to counter our loss of political potency to the invisible hand of the market and that market’s perverse dialectic with fundamentalist violence. You ask readers to “consider what follows as —- a measure of our own political imagination at this present moment according to an absolute present moment according to an absolute standard, albeit along a sliding scale, of democracy, more or less.” The concept of the imagination is central to the development of modern philosophy from Spinoza’s view of the imagination as the first and inadequate form of knowledge, through Kant’s transcendental imagination, to the romantic celebration of the imagination emerging out of a certain interpretation of Kant and so on. The related term “imaginary” also carries some history with it, and is most closely associated today with Lacan’s famous distinction between the imaginary, the symbolic, and the real. How are you conceptualizing imagination here, such that the theological work you are doing becomes part of a work of imagination that serves as a means of moving through the political state of affairs we are now experiencing? Likewise with Fareed Zakaria, who begins his book The Future of Freedom with the announcement that “We live in a democratic age” wherein democracy has become “the sole surviving source of political legitimacy.” But Zakaria quickly reveals his hand: it is not democracy that he wants, but liberalism, and specifically, a liberal constitutional order that is deliberately established to “insulate” decision-makers from “the intense pressures of democracy.” “What we need in politics today,” Zakaria professes, “Is not more democracy but less.” For Zakaria, the future of freedom is secured not by empowering citizens as political agents, not by people clamoring for their rights and their interests, but by the smooth workings of the economic state whereby citizens are made into mere subjects to be managed. This is precisely the kind of realpolitik calculation that supposed democratic theorists and policy makers have made for generations. It is democracy in name only. If grafted onto the sliding scale of democracy more or less, it meets only the minimal standards, somewhere above the democratic credentials of Egypt’s Hosni Mubarak or Tunisia’s Ben Ali even though they long made the claim that that they had been democratically elected, but far below the real belief and commitment to the power of the people to rule. By way of that long introduction, let me return to your actual question and promptly sidestep it. My conception of imagination has been illustrated most vividly in the events of the Arab Spring. While writing my book, Radical Democracy and Political Theology, I visited Tunisia at the invitation of the Association Tunisienne de Droit Constitutionnel for an international symposium on “Rights, Power, and Religion.” It was my first and only trip to a state governed by a military dictatorship. As legal, political, and religious scholars gathered to discuss a wide range of issues, the image of Ben Ali was displayed prominently, even while a representative of the government was present to record and note the official deliberations. The streets were quiet, peaceful, and clean. No hint of protest. No sign of rebellion. Yet when I spoke with Tunisians, I heard their frustration; even more, their worry. Jobs were scarce. The pride regarding how rapidly Tunisia had modernized itself through efforts at liberal reforms, education, and gender equality was growing into disgust, if not cynicism towards the ruling family. If the Tunisian people once bought the argument that their rights as political citizens had to be sacrificed at the altar of stability, the trade-off was offering up diminishing returns. Yet few dared to speak directly, let alone openly. It was only two years later that people flooded onto the streets with the courage to imagine a different future. This bold act of political imagination, which gave rise to political action, becomes theological when you consider the role of belief. I have no idea what the Tunisian protesters actually believed, or whether, even, they truly believed they would have the power to bring the Ben Ali regime to an end. What I can say is that they had no good cause for such belief. That seems certain enough. So when I am talking about the imagination, I am not talking about belief per se. More specifically, when I am talking about the imagination, I am talking about make-believe—that is to say, the willing suspension of disbelief. The Tunisian protesters may or may not have believed that they had the power to topple the regime, but they acted as if they did. This is the necessary fiction of the political imaginary. And it is precisely what democratic theory and practice has lacked—a recognition of the power of the people when they make-believe in democracy. Of course, we still do not know how the events of the Arab Spring will unfold. The future is undetermined and the revolution is incomplete. Such is the terrifying, awe-inspiring power of democracy. And, to borrow from Jacques Ranciere, such is also the source for the hatred of democracy. My concern with the likes of Fukuyama and Zakaria is not simply that they fail the test of democracy, but that they cheapen and distort even its imaginary possibilities with the result that the people are left not simply with nothing in which to believe, but no basis upon which to build an actual political assemblage. In Capitalism and Christianity, William Connolly speaks of the importance of this notion of a political imaginary in terms of a “positive resonance machine,” the idea of which forms an “interim vision” that has the capacity to “energize action” amongst “interwoven institutions and individuals.” If nothing else, my effort at articulating a theo-political supplement to radical democratic theory is an effort to write the imagination back into our political discourse and action. AJR: Drawing on Jacques Rancière’s work on democracy and Michael Hardt and Antonio Negri’s work on empire and the multitude, you argue that democracy reveals the radically contingent context of political decision, a context prior to any determinate political regime. Democracy, then, becomes in some sense primal or archaic and the political becomes something other than a matter of sovereign decision, whether of a literal king or of a “people” conceived as somehow one. You acknowledge that this proposed reconceptualization is a risk, and argue that it is rendered necessary by the even riskier alternative presented by the status quo. What is the process, however, by which an academic philosophical reconceptualization of the political and of democracy might alter the political scene? And how would an intervention that starts with a philosophical reconceptualization embedded in the academic milieu and moves from there to the multitude or to the street avoid repeating the sovereign gesture your book so effectively criticizes? JWR: That is a difficult, maybe even an impossible, question for me to answer. After all, I am an academic, and this book is a work in theory through and through. That said, I am committed to the notion that thinking matters. Committed is probably not even the right word. 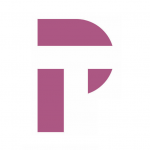 I am persuaded that thinking matters, and committed not simply to thinking about democracy, but to thinking in such a way that makes democracy more possible and real. As to the question of the process by which this thinking alters the political scene, I must remain deliberately vague. I do not know the process. But not because I am unaware of how this process has played out in times past, but because there is no single or uniform process. The spirit moves as the spirit moves. In many fundamental ways, the book’s interlude on “The Iranian Revolution Redux” anticipated the events of the Arab Spring, specifically in the role social media played and its tendency towards a post-secular conception of the proper relationship between religion and politics. In that way, my book might be seen not so much as an intervention as it is a work in theoretical analysis that puts the events of our time in proper relief. As for what specifically that analysis provides, you have identified what I regard as the most salient feature of radical democracy—namely, that democracy is a pre-political form of politics, a form of political power that precedes and exceeds sovereignty. Put differently, the people power of democracy is constitutive, as well as being generative. This is what Rancière means when he identifies democracy as the “principle of politics.” Before politics congeals into sovereign power, before it is established as a state form, democracy exists as a force. Sovereignty congeals in the effort to curtail the anarchic power of democracy. By the constitution of the state, the constitutive power of the multitude is at once acknowledged and delimited. I hope that the analysis I offer up in my book is useful to the extent that it helps us to understand the process by which we have relinquished our right to decide by forfeiting the prerogative to rule. I hope also that those who read the book might appreciate the primal power they possess. The political decision rests with us, and in us, not with those who command. It is only in this way that we might understand the true nature of political resistance. It is not reactive. It is primal. It is the power that makes the political possible. Attentive readers, of course, will sense my reliance here upon the work of Antonio Negri. Like Rancière, Negri is concerned with the “pre-condition for the production of the political.” In Negri’s case, this pre-condition is established by the social body through cooperation. Political power, in other words, has a democratic basis. And for Negri, this insight is the result of his early engagement with the work of Spinoza in which he discerned the distinction between potentia (creative, revolutionary power) and potestas (sovereign authority). What would it mean for us to concentrate our political efforts in potentia as opposed to potestas? At the very least, I believe it would mean that we would not allow ourselves to be deluded into thinking that one state could install democracy in another, that democracy could never be spread by the barrel of a gun. But more fundamentally, it would help us recognize ourselves once again as political agents with a primal power that is rightfully feared due to its potential to upset and uproot the status quo. It might wake us from our docility.